In Brazil, health education programs, mostly still follow the model of vertical transmission of knowledge, where knowledge / live the student is devalued and / or ignored, it is believed that the prescription of correct said behavior will cause the individual to reach a well-being, not taking into account the social, historical and cultural aspects of every human being1. Health education acts both in the training of health professionals and the population. Health education of the proposal with groups can break the traditionally existing vertical relationship between the teacher and the subject of his action, providing opportunities for them the expression of their needs, expectations, anxieties and circumstances that influence your health, raising their critical awareness and autonomy in the face of health care decisions2. This study aimed to present critically the non-participant observation carried out in a group of pregnant women in a hospital. 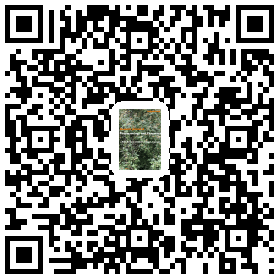 Experience report with a qualitative approach, held in group prenatal pregnant women at high risk of gynecology outpatient clinic of a teaching hospital of Recife-PE municipality in March 2014. The group was composed of six pregnant women an elderly (mother of a pregnant woman), a nurse, a social worker and two residents, one of physiotherapy and other nutrition. Participants were between 19 and 65 years.vInitially, the nurse asked for the formation of a circle and each is present, speaking the name, age and history of previous pregnancies. All women had previously gestated at least once; two of them mentioned it spontaneously aborted. The theme proposed for discussion at this meeting were the rights of pregnant and breastfeeding. Initially a social worker approached on the rights of pregnant women through records with pictures illustrating each right. The topics were: realization of prenatal care, spouse monitoring or person of your choice during labor, maternity leave, home study, preferably in rows of seats and supermarkets, preferred seating on public transportation, among others. This point was stimulated the participation of pregnant women, which should show and talk about the topic that had been delivered. Most participants stressed that those rights were not being met in practice as at delivery the spouse could not get on buses and many people sat in preferential seats and left them standing. Two of them were students and were anxious regarding the continuation of studies. The women seemed to be at ease to ask and answer questions. Later, the nurse presented a video of the Ministry of Health about the importance of breastfeeding, teaching techniques for the baby takes the breast and also demystify some myths related to breastfeeding. In the video, the women gave testimonies about the satisfaction of being breastfeeding and have emphasized the benefits of exclusive breastfeeding until six months of a child’s life. At the end of the video was open to discussion for removal of doubts. On this occasion, only three of them questioned about breastfeeding practices. The teenager interacted little. The social worker emphasized that it is up to women to decide whether to breastfeed her child or not and that this practice could not be imposed. Then the physiotherapist demonstrated through a role play using a dummy to breastfeeding management technique, emphasizing the correct positioning of the baby in the mother’s lap. Then the nutritionist voiced some guidance on how the pregnant woman should eat. The termination was due two folders containing information on breastfeeding and milk bank phone numbers and a strip doubts during any time of pregnancy. The meeting ended with a snack offered to all present and then the women were referred for medical consultations. During the educational activity, there was the professional effort not to transmit knowledge by vertical method, though the focus of the discussions was the pregnant woman being and not a woman, not taking into account their concerns, fears, expectations, its social context, their world view. A literature review study, which sought theses and dissertations carried out from 1998 to 2008 that addressed the topic of health education in hospitals, showed the dominance of traditional education method (vertical) at the expense of participatory (participatory) and It is still a major challenge to the practice of health education by nurses in the hospital, where the technical and administrative nature activities are prioritized3. Although at times there has been a vertical knowledge transmission, it is noticed that the participant group of professionals in this group, had sensitivity and knowledge that health education must be participatory and dialogue-based. Professionals sought to interact with the mother and family letting them feel free to ask and answer your questions. Something that called our attention was the fact that the pregnant teen interact little and at no time have been inserted in the group dialogue. On the plus side, there is the position of the participants in a circle, where the educator was at the same level of the student, facilitating the reception. To Freire’s thought for nursing practice, we emphasize the need to incorporate a review and problem-based education, favoring dialogue with the students, awakening them to a transformation and autonomy in decision-making4. What is expected in the education process, is to form active subjects, independent and free, able to plot your course of life through their choices, but also taking responsibility for the consequences of their decisions throughout life5. Thus health education becomes reality when modifying agent is not intended to define correct behavior for others, but awakens in the subject the ability to critical reflection and interaction between social subjects1. A problem-posing education in health, based on dialogue and exchange of experiences is fundamental to the formation of the active subject. Health professionals should seek to know the subjective aspects of each participant through their lines and so strategize together with the group to make possible an apprehension of knowledge with consequent change of reality. Keywords: Health education; women’s health; nursing. Meyer DEE, Mello DF, Valadão MM, Ayres JRCM. “Você aprende. A gente ensina?” Interrogando relações entre educação e saúde desde a perspectiva da vulnerabilidade. Cad. Saúde Pública vol. 22 no.6. Rio de Janeiro (RJ), 2006. Souza AC, Colomé ICS, Costa LED, Oliveira DLLC. A educação em saúde com grupos na comunidade: uma estratégia facilitadora da promoção da saúde. Rev Gaúcha Enferm, Porto Alegre (RS) 2005 ago; 26(2): 147-53. Rigon AG, Neves ET. Educação em saúde e a atuação de enfermagem no contexto de unidades de internação hospitalar: o que tem sido ou há para ser dito? Texto Contexto Enfermagem, vol. 20 no. 4. Florianópolis (SC), 2011 Out-Dez; 20(4): 812-7. Miranda KCL, Barroso MGT. A contribuição de Paulo Freire à prática e educação crítica em enfermagem. Rev. Latino-Am. Enfermagem vol. 12 no. 4. Ribeirão Preto (SP) Jul/Ago 2004. Renovato RD, Bagnato MHS. Práticas educativas em saúde e a constituição de sujeitos ativos. Texto Contexto Enferm, Florianópolis (SC), 2010 Jul-Set; 19(3): 554-62.